Since waking up to a covering of snow less than two weeks ago, the weather here in France has thankfully taken a change for the better. The sun has made a welcome appearance bringing the first bees and butterflies of the year out in search of nectar; Brimstone, Peacock and Red Admirals have been the earliest visitors to my garden this March. Plants are happily starting to burst through the ground and the first of the wildflowers are making an appearance. 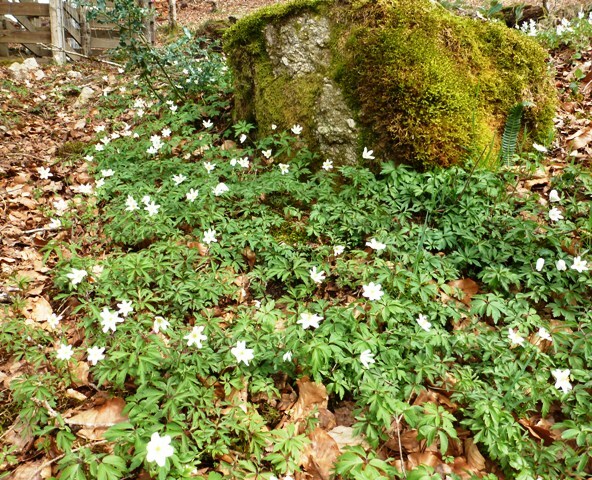 Vinca is flowering, Wood Sorrel is pushing its way through the leaves on the woodland floors and Violets are just coming into bloom along the country roads. 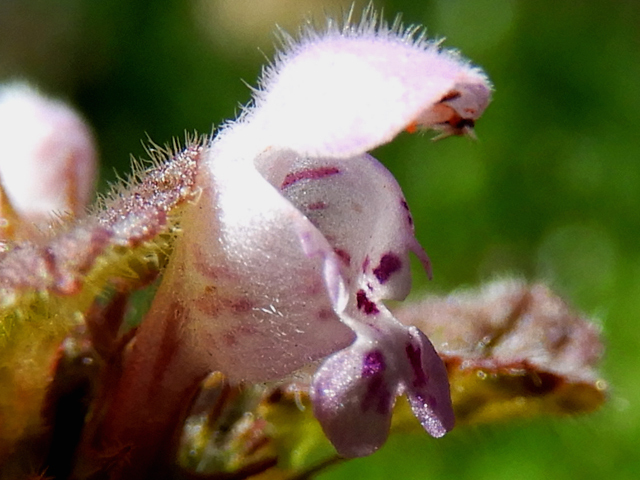 It’s this latter wildflower that I was admiring and photographing whilst out on a walk at the weekend. There are several different types of Violets; Sweet Violet, Common Dog-Violet, Marsh Violet, Early Dog-Violet and Hairy Violet to name but a few! They all look very similar, purple in colour with 5 petals and heart-shaped leaves, making it very difficult to tell them apart! Common Dog-Violets (Viola riviniana. 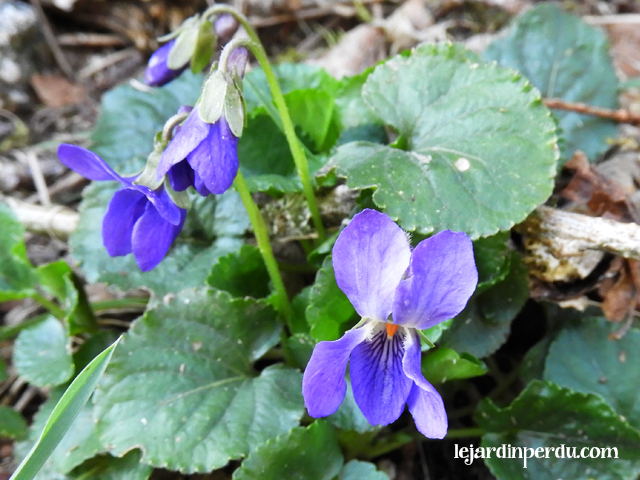 French name: La violette de rivin) and Early Dog-Violets (Viola reichenbachiana. French name: La violette des bois) are both unscented. Early Dog-Violets flower from March whilst common Dog-Violets tend to flower slightly later, in April. To tell the two Dog-Violets apart you need to look at the spurs on the back of the flowers. 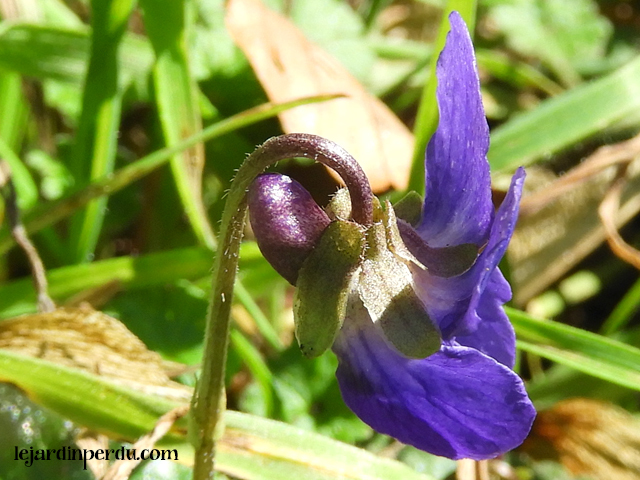 The spur on an Early Dog-Violet is darker in colour than the petals and does not have a notch whereas the spur on a Common Dog-Violet is paler and has a notch – easy n’est-ce pas!? 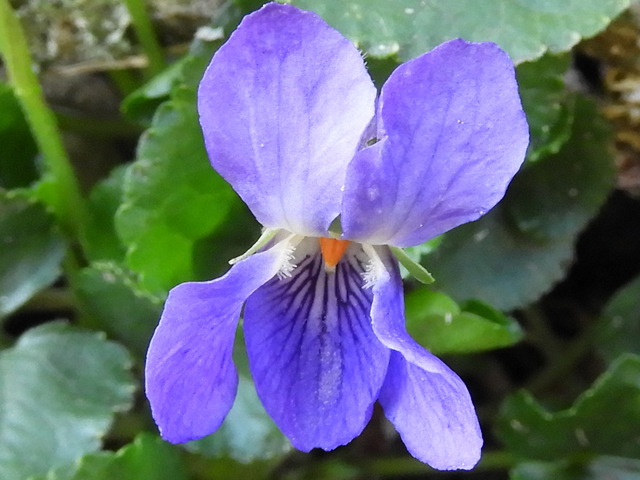 As the name suggests, Hairy Violets (Viola hirta. French name: La violette hérissée) are covered all over with fine hairs, giving the plant an overall “grey” appearance. They flower from March – June. These are quite general rules, but ones which will hopefully help you to identify which little purple beauty you stumble across, to be honest I never realised that there were so many! Armed with my new-found violet information I popped back down the lane this morning to where I saw several clumps of violets growing, and can now declare that they are in fact Sweet Violets! They have a gorgeous scent, though I’m very thankful that no one spotted me crouched on the floor with my nose close to the ground having a good old sniff! 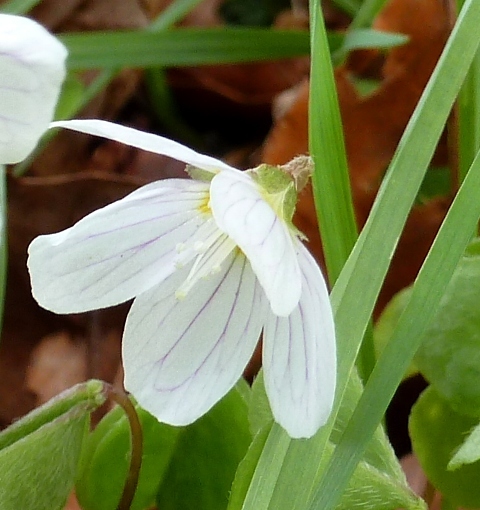 I even spotted a clump of white Sweet Violets on my way back up the hill! As we approach spring, wildflowers are stirring everywhere. 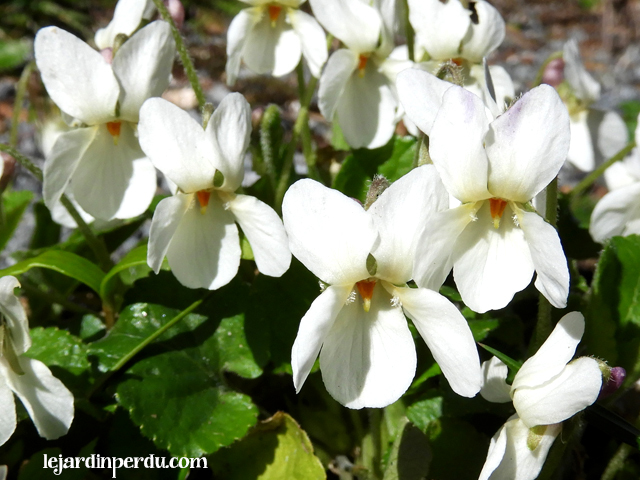 Violets may be a common wildflower, but that makes them no less beautiful, please take time to stop and admire them.